Alexis is a board-certified music therapist who specializes in working with seniors. 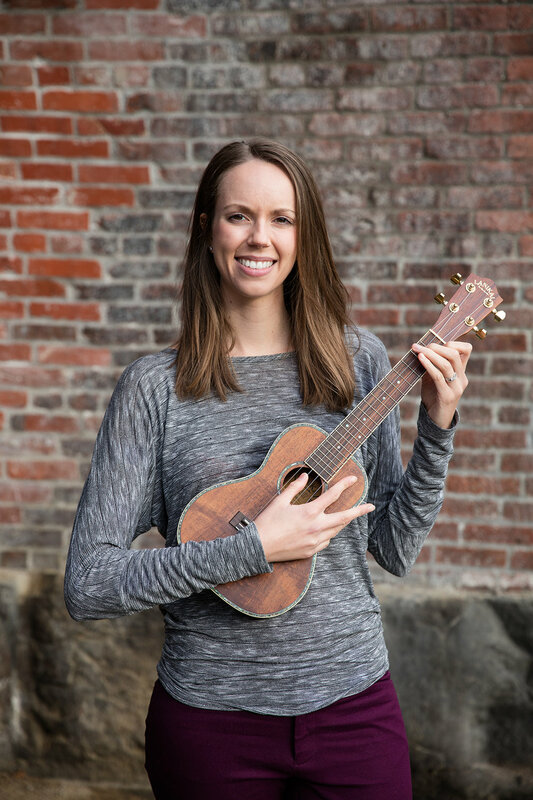 Originally from the small town of Sedro-Woolley, WA, Alexis earned her Bachelor of Music Therapy degree from Marylhurst University in 2013. She completed her clinical internship in the same year at Earthtones Northwest where she worked with a variety of populations in multiple settings. Alexis maintains professional membership in the American Music Therapy Association. She was published in the 2013 issue of Imagine Magazine and has also received several academic scholarships. In 2009, she was awarded the Department of Music Award from Skagit Valley College, where she graduated with honors. Her primary instrument is guitar, although she plays and uses many different instruments in her practice. Alexis absolutely loves working with older adults. Drawn to their rich wisdom, unique life stories and sense of humor, she passionately cares for every individual she interacts with. Her gentle and patient approach helps to engage clients and bring about profound responses. Alexis' music therapy philosophy can be summed up in this way: Like a bridge, music provides support and connection, leading to an improved quality of life.